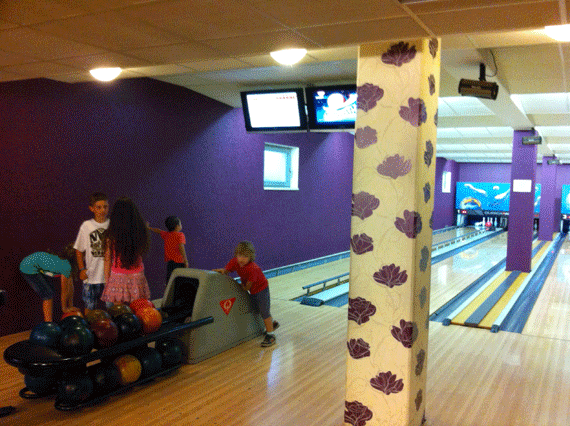 Similar to Dolce Villa, the bowling lanes here are in the basement of the Academic Hotel in Roztoky. 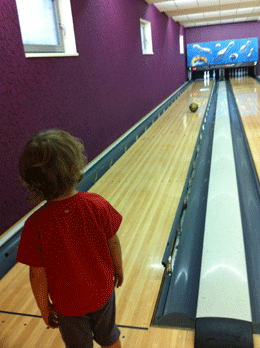 There are 4 lanes in total, one of which has rails to block the balls from gutter and keep them rolling down the rink towards the pins. The surroundings are less plush than Dolce Villa but facilities are similar. There is a bar onsite with barman ready to serve drinks and there is a restaurant upstairs where you can pre-order food. It’s just as easy though to bring along your own plates of food, snacks and birthday cake which they are ok with. If you do book all the lanes and the barman is there I think it’s only fair that you and your guests purchase drinks from him - they probably wouldn’t like you turning up with juices, soft drinks and alcohol seeing as they have a fully stocked bar and staff. As with other venues the hire rate goes up after 6pm so you pay 200czk an hour till 6pm. The hourly rate then goes up to 300czk per hour after 6pm. It’s affordable and certainly worth enquiring on the rate to book out all 4 lanes for 2 to 3 hours. That way you can ensure the environment remains smoke free! 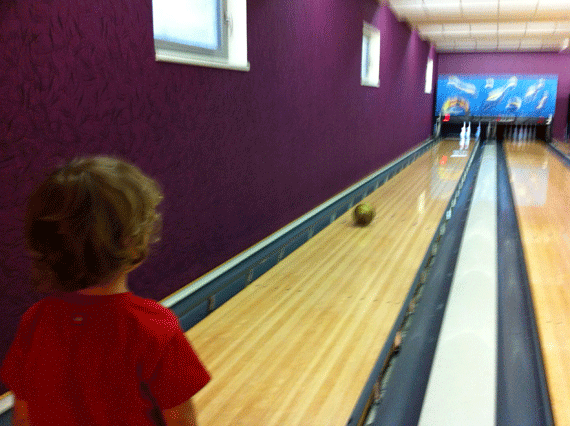 The kids always have a blast with bowling. Even my 4 year old loves having a go. It’s a perfect way to get big groups of kids together over cold weather weekends and is never ‘weather dependant’. 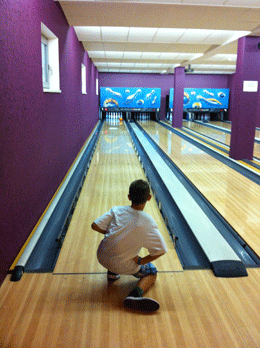 If you plan a short visit with a smaller group of kids then just try out one lane and take the risk that people may light up in the bar area. 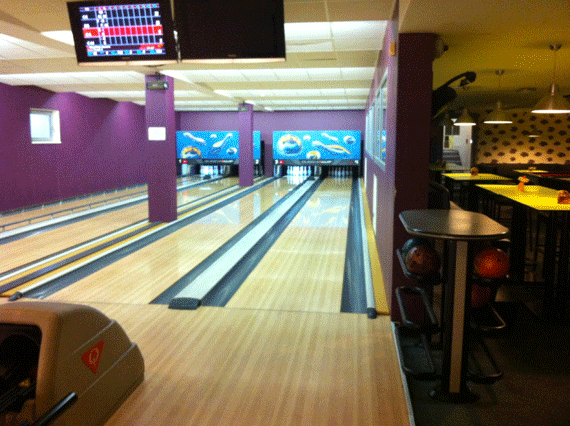 As you can see from the photos above, on this occasion we got lucky and had the whole place to ourselves despite the fact we booked just one lane. There was no one else in the bar area so the air was good. Roztoky u Prahy is a small village down river from central Prague. There are regular buses that go directly here from the Dejvická metro stop and the hotel and bowling lanes are right in the centre of the town square on top of the hill. It’s easily reached and closer than it looks so don’t let the location put you off. DIRECTIONS: By Car: Head to Dejvická and on the big roundabout (in the direction of the airport) turn right into Jugoslávských partyzánůto Street and keep following it as it changes to Podbabska Street with the river on your righthand side. When the road forks left and right (at a roundabout) take the right side (keep the river right alongside you). You then follow Roztocka Street all the way along the river to Roztoky. Keep following the road as it snakes uphill and at the top on the right you’ll see the town square with the Academic Hotel and shops. There is plenty of parking right outside. By Metro & Bus: Take the Metro green line A to Dejvická. Walk to Jugoslávských partyzánůto street and catch the buses heading in the direction of Suchdol (bus numbers 340 and 350). The bus takes 15 minutes and you get off at Tyršovo náměstí bus stop. Buses leave Dejvická approximately every 20 minutes.